I clicked in the wrong place on an image in tweetdeck, and saw surprise golden light. Well, that might be overly dramatic. But check this out, it’s not in Twitter web. Look in the upper right corner of an image in a tweet seen in Tweetdeck. What’s that icon do? Hover! Click! Witness the brilliance of artifical intelligence! 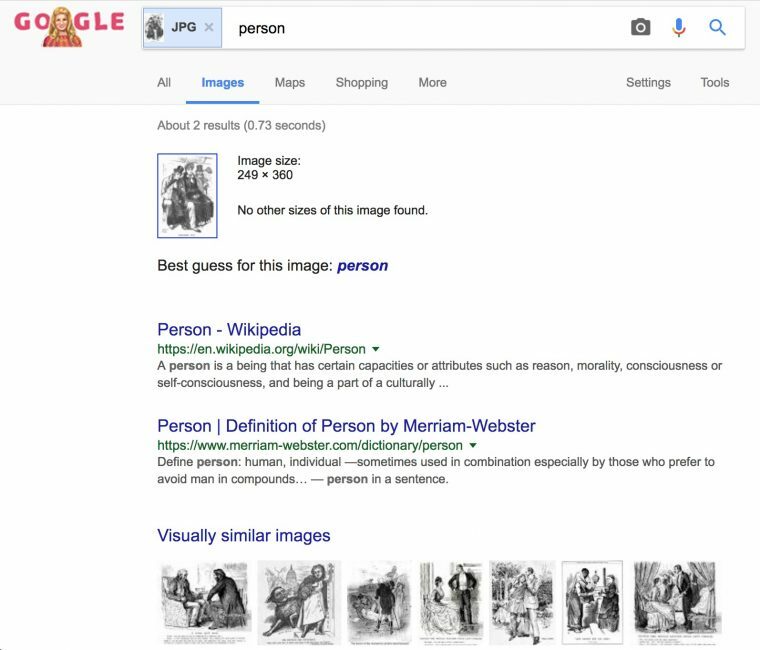 I would have never guessed that without Google. 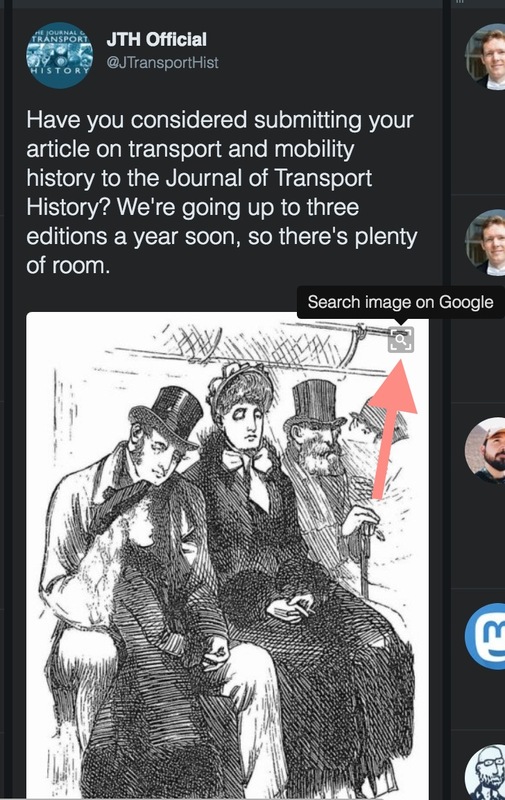 Okay, not the greatest example, but to me, having a link for reverse image search built into Tweetdeck becomes rather useful for checking sources, for lateral searching. I found not much on the feature, a mention in Tweetdeck’s docs for advanced features, and this post from DGVOST. Apparently it went live in June 2017. Who knew? 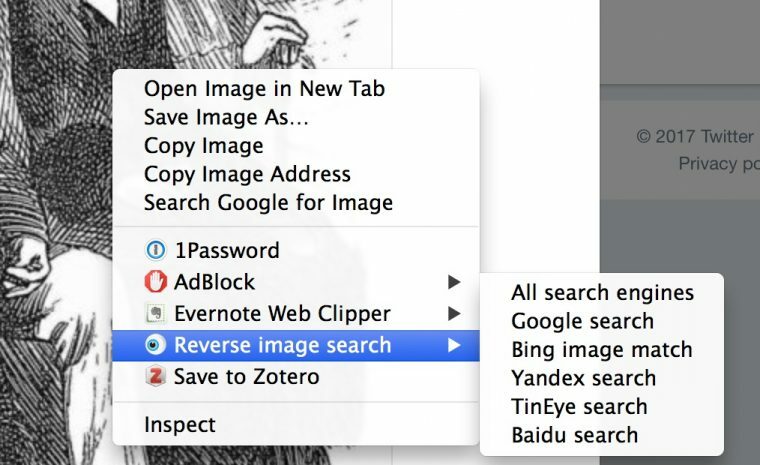 But that latter post led me to this Chrome Plugin, RevEye Reverse Image Search that adds the functionality to extend a reverse image search to different tools- Google, Bing, Yandex, TinEye and Baidu. It opens results in separate tabs, so it’s handing off results to other tools. Still, I can see lots of use for this extension. Getting a surprise feature is one thing. Shiny. 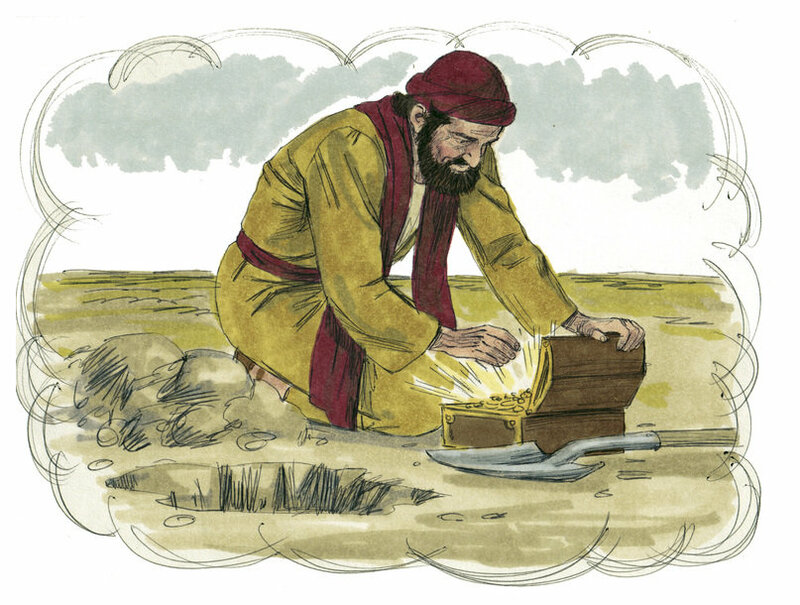 But then doing some digging into it, and finding another treasure egg? You can’t automate that stuff. Featured Image: Gospel of Matthew Chapter 13-18 (Bible Illustrations by Sweet Media) Wikimedia Commons image by Jim Padgett shared under a Creative Commons CC BY-SA license.